Ready for another weekend of fun in Downtown St. Pete? We are, and we’ve got a checklist for you. Thursday, start things off right with Friends Trivia at MacDinton’s or a trip to the Royal Palm Market for your holiday shopping needs. Friday is, of course, First Friday, which means a night of dancing and fun in the heart of the city. Or, relax for the evening and watch the classic that is A Christmas Story under the stars in Vinoy Park. Saturday, drink and shop to your satisfaction with Booze and Boutiques after a day full of shopping at the Saturday Morning Market and brunch at the Oyster Bar. 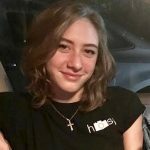 Sunday brings things to a close in the best ways, with a morning of yoga at the Dali Museum and trivia night at the Hollander Hotel. As always, enjoy your weekend! Get that Goodwill sweater, find those tacky holiday pants, and get ready to jingle bell ROCK! 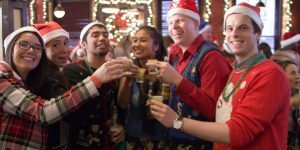 Registration is $14 – $23 and includes ugly sweater swag, live music throughout the crawl, & deals along the way. Check-in begins at 5 p.m. at Thirsty First. 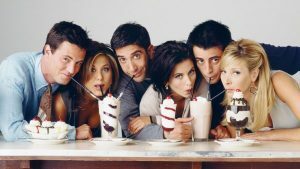 How much do you know about Friends? Can you recite Chandler’s sarcastic quips by heart? Put those skills to the test with MacDinton’s night of trivia fun! There will be a $350 first prize, with $200 for second place, $100 and a $50 MacDinton’s gift card for third, and a $50 gift card for fourth. This event is 21+and runs from 7:30PM to 10PM. Cozy up with a blanket & a lawn chair in Paul’s Landing’s yard to watch the holiday classic – Home Alone. 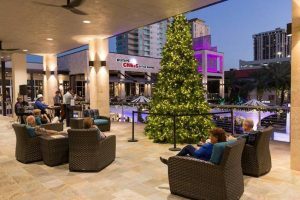 Enjoy Christmas themed cocktails and yard games that the whole family can enjoy. The fun begins at 6 p.m. with the movie starting at 6:30 p.m. Celebrate every First Friday of the month in St. Pete with a free block party complete with live music and dancing! The action goes down between 2nd and 3rd streets on Central Ave. from 5:30-10 p.m.
Bring your blanket or lawn chairs to settle in for a holiday movie in Vinoy Park at 5th Avenue NE. 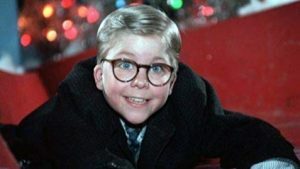 Tonight’s showing is the holiday classic, “A Christmas Story” starting at 7 p.m. Admission is free and open to the public. Take in the St. Pete arts scene after hours as more than 40 galleries and studios spanning across five different arts districts stay open late, including local favorites like Duncan McClellan Glass and Morean Arts Center. Free trolleys run throughout the city’s five districts to get you around during the 5-9 p.m. event. For a complete list of participating galleries and a map, visit stpeteartsalliance.org. 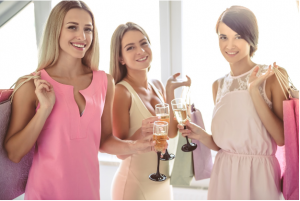 Take part in the 3rd Annual Booze and Boutiques Event on December 8th, from 12pm-5pm! This a fun filled afternoon of shopping and bubbly while supporting a great cause, Heels to Heal. The net proceeds of this event help provide crisis counseling to survivors of domestic violence and sexual assault. Purchase your sponsorship or tickets today.